Samsung Electronics announced the opening of what it said is the world’s biggest mobile phone manufacturing facility as the South Korean tech group seeks to expand production in the world’s fastest growing major mobile phone market. 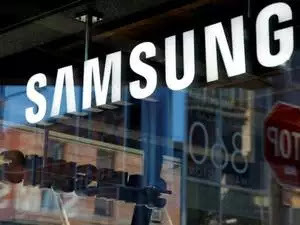 The facility in Noida, on the outskirts of New Delhi, will allow Samsung to make phones at a lower cost due to its scale when other phone making hubs such as China are getting more expensive, analysts who track the sector said. 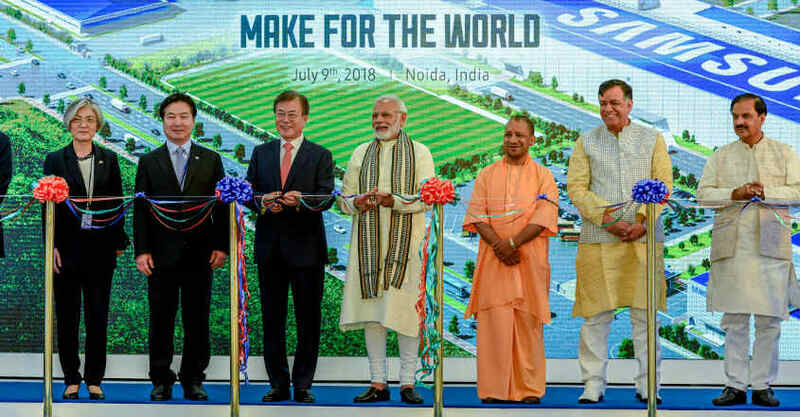 The factory, inaugurated jointly by Prime Minister Narendra Modi and South Korean President Moon Jae-in, will also help Samsung to compete with rivals such as China’s Xiaomi, which became India’s biggest smartphone brand by shipments earlier this year. Samsung, which has been assembling phones in India since 2007, also plans to export India-made handsets, the company said in a statement. While Modi’s ‘Make in India’ campaign is still a long way from delivering on ambitious job promises, the programme has had some success with the phased manufacturing of mobile devices and components. More than 120 local factories currently assemble mobile phones and accessories like chargers, batteries, powerbanks and earphones in India, according to tech research firm Counterpoint. Samsung said last year it will spend Rs 4,920 crore ($716.57 million) over three years to expand capacity at its Noida plant. The new facility will help Samsung double its current capacity for mobile phones in Noida to an annual 120 million units after the phased expansion plan is complete, the company’s statement said. Meanwhile, speaking on the inauguration, PM Modi said that his government’s pet ‘Make in India’ initiative has propelled India to become the world’s second-largest manufacturer of mobile phones as the number of factories soared to 120 from just 2 four years.